What a great year 2014 is for us. Too many going ons and I can't believe I was able and is still making it despite having to juggle everything by myself while the husband is not at home. My job is treating me good though at times I like to just stay home and rest and take care of the kiddies. But I don't have any complaints coz everything I believe is planned by the most powerful Being above. The holiday season had passed and we are soon to ring in the new year. It is about that time where we renew some life's goals, plans, resolutions, or whatchamacallits. I got lots of things in my mind to do and hopefully will be able to push through. Among other things is the financial aspect to which I literally fail or have maybe a C grade if I have to put it that way. I always slack in this department and to think this is very important for building our future. Although I have some financial resolutions put up in the past, the will and determination to do it hinders its success. The good thing though is it is already in placed and started, making it more successful is the next big thing to do. I know we can make it this time! Another thing that I wanted to do is to at least my blogs once a week. The daily grind makes me lazy to sit in the computer and update this on a regular basis. My mind is just a mess after a days work and daily chores at home. But if there's a will, there's surely a way, isnt't it? Have a happy holidays to all and hoping for a wonderful and bountiful new year ahead! The world is moving at such a fast pace that people purchase more than they need on a daily basis. But there are still a few people who realize the value of the things that they own and a special few who make a hobby out of collecting invaluable items. Remember when you were a kid and you could buy a pack of bubblegum and, with it, a baseball card was included? You couldn't wait to open the package to see which card you got and, just once in a while, you might be the lucky recipient of an irreplaceable rookie card or special edition card that no one else had. Or, what about the baseball that you happened to catch in the stands when your favorite player hit a homer out of the park and, after the game, you were fortunate enough to get his autograph? There is a company devoted to creating quality display cases for all types of memorabilia. Baseball display cases are a specialized area. The founder of Collectible Supplies.com, Jeff Peterson, started his company with the vision of making memorabilia more available to fans. He knew that he would have to be able to collect and supply large varieties of products at affordable prices and be able to ship them quickly and safely. They find the best manufacturers, purchase their products in bulk and are able to pass their savings onto their customers. The line of sports cases and display cases for football memorabilia includes a wide variety of casings that are made from only the finest cherry wood, laminate that will protect that favorite baseball indefinitely and even tubes for special baseball bats. For the discerning card collector, there is a massive variety of ways to display them - on the wall, in protective cases to be put away, frames for one card or many - memories only happen once and you may not be able to get them back, but you can save valuable mementos so you never forget. Collectible supplies sells the finest in products for football, baseball, basketball, hockey, softball, boxing and golf. They carry many other specialty sports products and have dedicated their business to sports. No matter what products you purchase, you can do so with confidence that you are shopping on a safe website with secure encryption so your personal information is safely maintained, and orders are shipped out within 24-48 hours of purchase. All items are insured by the seller not to break; if it arrives broken, Collectible Sports.com will ship out another immediately. The bottom line is your satisfaction 100% of the time, no matter what circumstance arises. Click here to visit and see all of their amazing products available at your fingertips! Whether this is your first pageant or you have been competing for years, there are a few things you must do to prepare for the big day. How well you are prepared is directly linked to your chances of coming away with a title. In addition, if you are sloppy about the process and wait until the last minute to prepare, you will continue to be on the losing end of the stage. Your smile -- and the teeth you show -- may be just as important as the dress you choose to wear for the pageant. Unfortunately, many contestants overlook their teeth, which may be dulled or stained from years of soft drink consumption. That is you should begin a teeth whitening regiment about one month to a week before the pageant takes place. Do-it-yourself teeth whitening strips and toothpaste are readily available and generally inexpensive. Another option is to visit a dentist to have your teeth professionally whitened. By practicing walking in the pageant shoes you will be wearing, you are helping to reduce your chance of trips and falls. If you are not use to the shoes, you may give off the impression to the judges that you lack confidence and poise. Furthermore, you should walk while keeping your hips straight and shoulders slightly back. When walking, put one foot in front of the other, and don’t look down at your feet. Instead, look straight ahead. Pageant interviews will often ask you questions off your application. And answering with stutters or long pauses are frowned upon by the interviewers. To help prepare for the interview, ask your friends or family to ask you a few questions while you answer them. While answering the questions, keep your posture and answer ladylike -- don’t slouch -- and avoid any negative answers. Your hair, makeup and outfit are vital to any pageant competition. That is why you should have all these planned out well in advance of the pageant. Once you have your ensemble, periodically try it on to make sure they still fit. Your entire outfit should fit well and not be overly reveling. For your makeup and hair, make sure to practice them regularly, that way when it comes time for the pageant, you will know how to do it perfectly and quickly. Buying a cheap item for your home improvement does not mean that you have to sacrifice the aesthetic value of your home. As a budget conscious homemaker, your task is to shop without draining your husband’s hard-earned money. As a conscientious wife and mother to your kids, you have other home necessities that you need to prioritize. But living in a bare home can be boring, so you are forced to stretch your budget for home decorating. Cheap curtains are available in online stores and you can always find best quality curtains for your kitchen, bathroom windows and your sleeping quarters. When you buy the curtains, buy those designs that truly reflect your style and taste. Try to figure out the window covering designs and imagine how your room will exactly look like when you adorn the cheap curtain. The technique on how to find the best buy is to spend time in searching them. One hour is not enough to enable you to find the curtain that can change the overall look of your home. Devote a few hours to make an online search and mind you, you’ll be surprised at the result. Some online shops are offering discounts for their items to give way to new designs. This is the time that you can buy as many curtains for your windows because this seldom happens. Your patience will pay off during your search as you will be able to find coupon codes that offer 10 to 35% discounts for cheap yet high quality curtains. Living with a meager income should not deter you from getting the best buy for your home improvements. Compare the prices offered from other websites and grab every promo that is offered to customers. A word of caution: don’t just grab curtains that do not complement with the architectural design of your home and do not match your needs. Our first grader said that it is not supposed to snow in February, and I told her it could since it is still winter. As we know that the east coast and midwest were snowed in this past few weeks. We also had our share but not as much and melted right away after a day. So when we had that snowy Sunday, our little girls were having a blast playing outside. Took some pictures of them in between shoveling our driveway. Children grow up so fast and it would be too late for you to realize that your baby is now a lady. How time flies fast and when she turns sixteen she wants to have a unique party for her classmates and friends. You have planned everything from the catering service, physical arrangement, venue and other important matters. But have you thought what your daughter would like to wear on her natal day? Her dress for the party should be in harmony with the ceremony to welcome your daughter as a young woman. Usually a tiara is placed on her head by the mother as a symbol of her womanhood. To make the ceremony more meaningful, let your daughter wear a lovely sweet sixteen dress. JenJenHouse.com, the maker of trendy and classic dresses for debut and coming out parties have something to offer for your daughter. The sweet sixteen dress come in various designs and clothing materials to match the motif of your daughter’s party. It can be a midi, maxi, mini or a knee-length dress. Let your daughter decide what to wear so she will feel comfortable when wearing the dress during the party. She can opt to wear a taffeta princess V-neck dress or a princess halter mini taffeta dress. Whether your daughter is skinny or chubby, she can always wear those lovely dresses as they come in different sizes. Sweet sixteen dresses are specially created to turn your teenager as the loveliest, if not the prettiest woman of the night. The party can be formal or semi-formal but either case, the dress will not go out of style. They are comfortable to wear because the fabric is soft and the embellishments are sewn painstakingly so no applique or sequence will fall out from the dress while the birthday girl is dancing the night away. Aside from her dress, you should take into account what your daughter would look like when she wears the tiara. Make sure the hairstyle and accessories will match with her sweet sixteen dress. Here in the US prom usually happens in May as it is also a flower month. As the saying goes "April showers bring May flowers and May brings prom". But in the country where I came from, I remember our prom in high school always happen in February during the love month. Anyways, I was reminded earlier tonight regarding a prom because one of my nephews, who is in junior high school, is going to his first JS promenade. This made me reminisce my high school days and the proms that I attended. 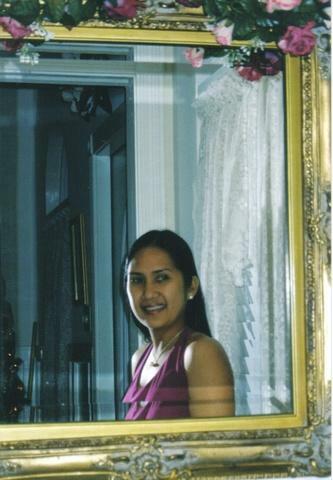 Thinking back, I really did not experience wearing a formal prom dress when I attended our JS prom. I wore a simple dress, just a little more upgrade from a Sunday dress so to speak. I think because the organizer made it that way so a lot of students can attend and won't say no because of the expensive prom dresses. So every time somebody mentions to me about prom and planning on attending, I would end up checking online shops that sells cheap prom dresses. 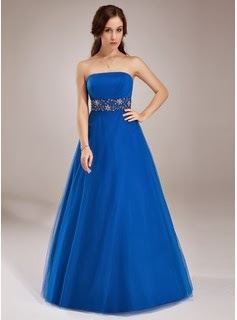 And so I found DressFirst that has an array of elegant and stunning prom dresses that is not hard on the budget. Looking at the prom dresses at DressFirst makes me want to attend a promenade again. There are so many choose to from, depending on the type of silhouette/cut, that is from A-line princess cut, empire, sheath, ball gown, or mermaid. The style also, depending on the necklines; one-shoulder, scoop neck, strapless, halter, off-shoulder, scalloped, high, or cowl necks, and even sweethearts and V-necks. Also, you can choose the fabric that you like your dress to be. Searching of the right dress for you is very easy for they have a very organized site to streamline your search of the perfect and inexpensive prom dresses. Below are my choices of prom dresses that I think would be lovely to wear during promenade. This fuschia floor-length evening gown would surely pop in any ball room. The ruffle beading sequins gives the shimmer and makes it stunning. This asymmetrical organza, charmeuse blushing pink dress is so fresh and dainty. I like its bead flower ruffle details. Blue is my favorite color and this tulle floor-length dress is so simple yet so elegant. I like the A-line/princess silhouette. It gives you more length/height wearing this beautiful dress. If you are looking for any prom dresses, DressFirst, as a global leading retailer for different special event dresses, is the place to go. The vast selection of their dresses surely brings in satisfaction guaranteed to their customers. Affordable and quality dresses as well as excellent customer service is what they are proud off. So, for stressful shopping experience of custom event dresses, check them out now. Wow! I can't believe it is already 2014. Time really flew so quick. Another year of challenges and hopefully more fun for all of us. So looking forward what this year brings to our family. Every year we set goals or some would call it their resolutions. For me I won't be setting any resolutions that I can't keep, but have to continue the things that I want to accomplish for myself and for my family. There are goals though that I hope to achieve this year and will do my best to reach it. As for our new year's celebration, after getting off work around 10:30 on new year's eve, I followed my family to church and there we waited the countdown to meet the brand new year. It was a night of singing and reflecting on our whole year's endeavors. We are so thankful for everything that happened. After church we headed home and had something to eat. The celebration here is different from what I experienced growing up. I miss being out in the streets lighting fireworks with my family and relatives and then clanking pots and pans, honking horns and making noise.